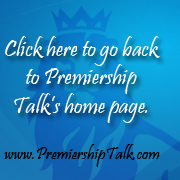 This is the official forum of Premiership Talk - the leading source of information on the English Premier League. Administrators have forbidden any new members. » will Brian Laws be succesful at Burnley?